Long time not talk about not-so-how-to travel tips and tips from me. To be honest and to be real, i'm not so intense traveller who is often buy flight ticket or book hotel for my holiday. 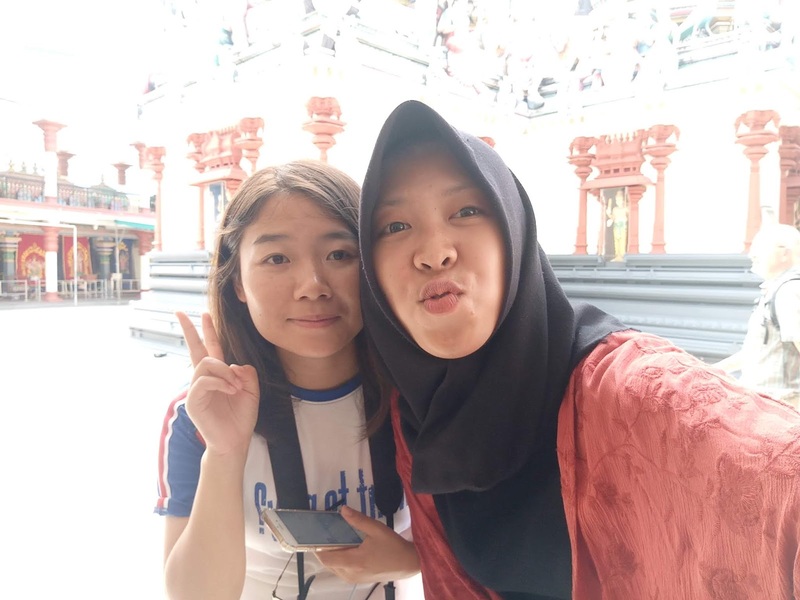 As a research student (in order to get my bachelor degree), i have been getting much more busier with my super hectic campus activities. 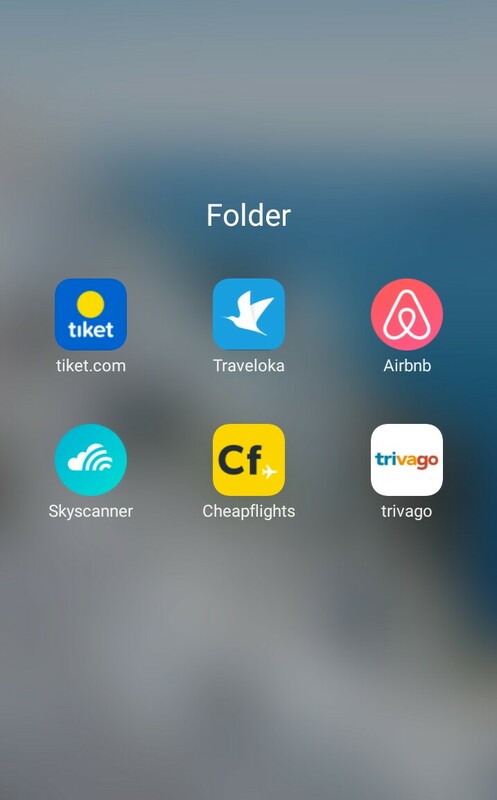 So many helpful apps for your necessary travel ticket. i often use traveloka. besides, i use tiket.com too sometimes (depends on where is cheaper hahahah). 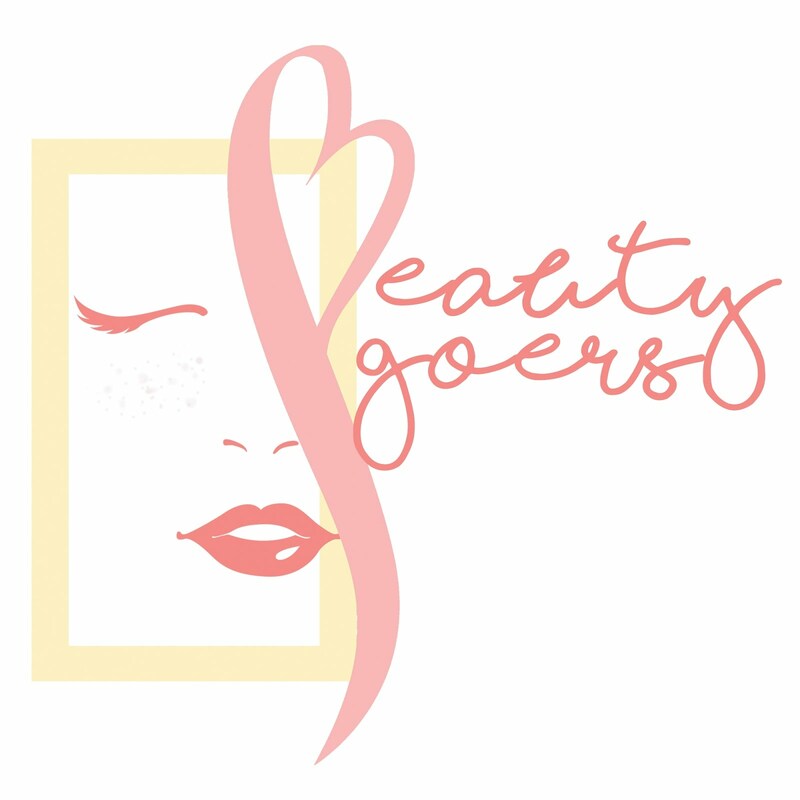 But here, i'm sharing about choices you may consider. BOOM! I have so many apps in my phone haha. i love using traveloka because it has "point system" where you can get cheaper price depend on how many points do you have and also you can compare ticket price based on time. Really, it helps me a lot to get best price for a backpacker for me. Cheapflight and skycanner often used for international rute (if only I can't get from Traveloka or Tiket.com). While Airbnb is used to get best price and place for your "everyday better sleep", esp for a "hotel-less" like meeeeh. Trivago is the best app to compare hotel price from one app to another app. Oh my godnesss, i must say this is the best best best traveller app. I got one chinese friend who is studies in Singapore to be my hoster. Basically, this is used as your "angel" when you need companion, hoster, guider in your new place I often use it when i have my "solo travel"
This is my account if you need my help. 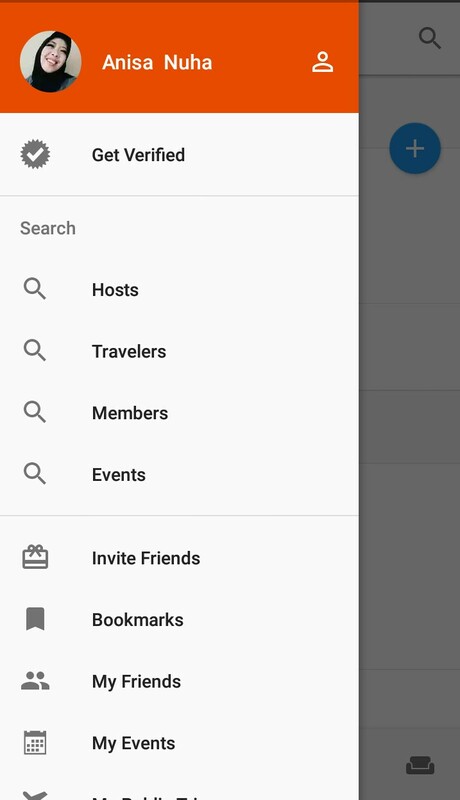 Here, we can look for host, traveller, member, or event we might join. 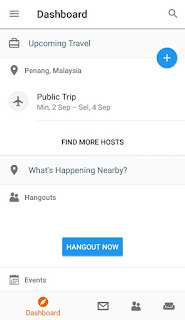 When i was in Bugis, i look for "coffee friend" via "Hangout". Highly reccommended! 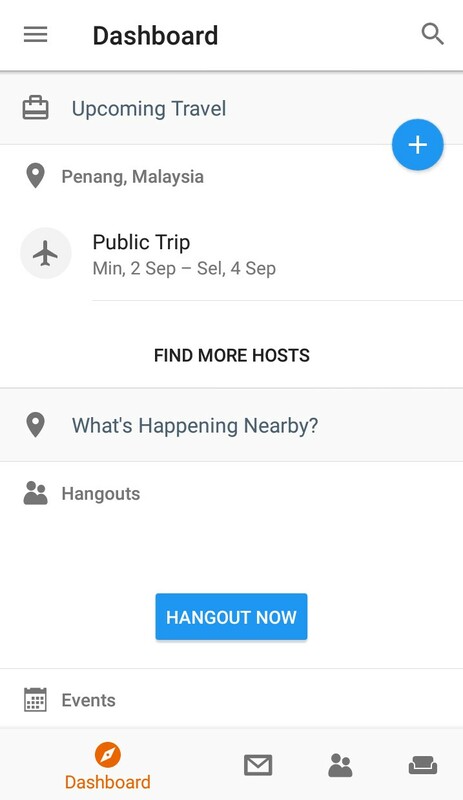 This is the example when you need hoster, so you can arrange the time you will both arrive and leave. 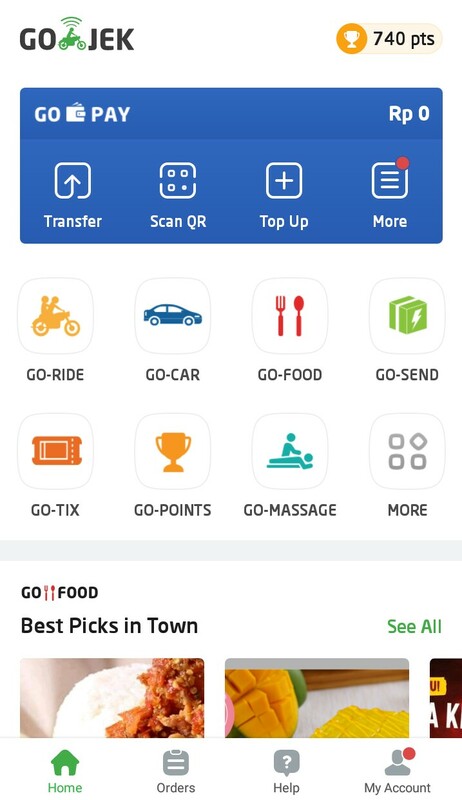 Gojek is everyday Indonesian need. Well, if Thailand is famous with its tuktuk, Indonesia is famous with its Ojek. Ojek is a motocycle taxi. Gojek is "ojek in the new whole leveelllll" hahahhaha okurrr. If you get confuse where's the location you want to go, Gojek is a helpful app to take you to ever place you want, esp in touristy area. Not all region in Indonesia has Gojek driver, but mostly have. Oh, yash. 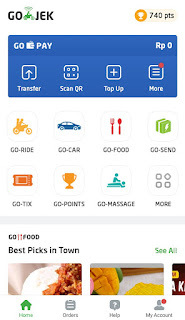 Gojek not also provide motorcycle taxi, but also gocar like uber and other services like GO-FOOD (oh everyone love it) and many more. 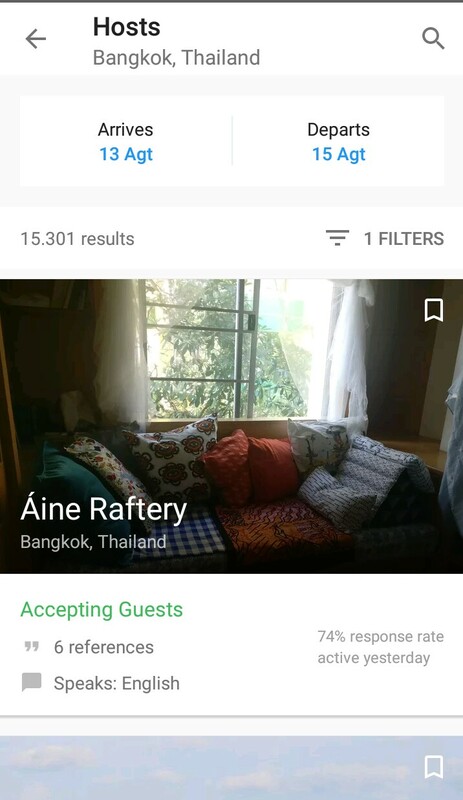 Wuuhh mesti ngobrol langsung ttg travelling nihh..
Aku baru tau si couchsurfing itu, lucu juga ya apps nya. 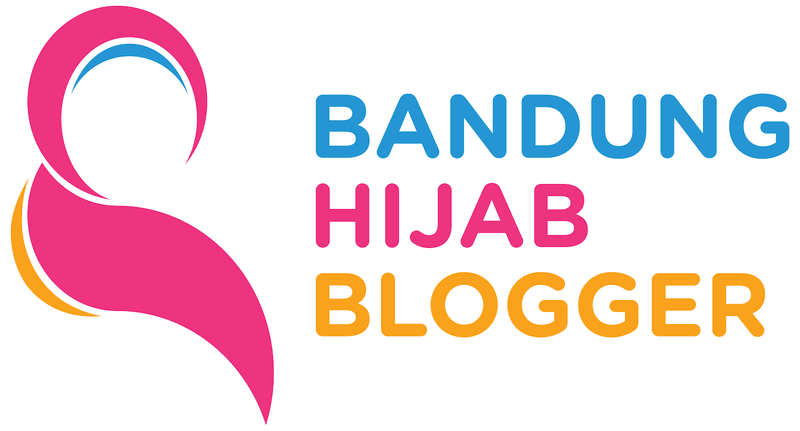 Tapi ngeri ga sih kalo sama yang ga dikenal gitu, so far identitas yang disana gimana, bener semua?